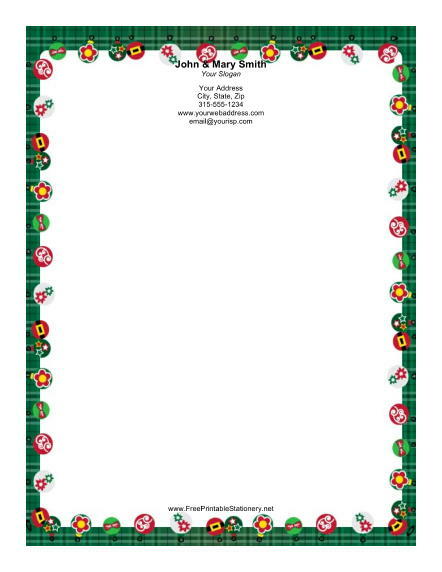 A string of colorful ornaments with a green plaid border are included on this holiday paper. The ornaments include many festive Christmas shapes, like stars, flowers, and Santas belt. With all the festive stationery options out there, this Christmas border is a great choice because it has variety while remaining traditional.